Sound bar-based surround sound systems have existed for awhile, but not every room is laid out to accommodate satellite speakers, and not everyone wants to see them all the time. 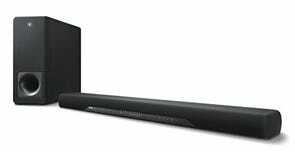 But Yamaha’s new YAS-207 sound bar does a pretty convincing imitation of surround sound without any extraneous gear. 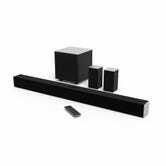 At a glance, this looks like any other sound bar with a wireless subwoofer; there are dozens of them out there. But the secret sauce is the brand new DTS Virtual:X codec, which utilizes a combination of tiny, channel-specific audio delays and sound reflection off your walls and ceiling to trick your brain into perceiving surround sound. Crutchfield has a nice description of the technology, if you’d like to know more about how it works. I’m not an audio expert, and don’t claim to understand the ins and outs of how Virtual:X pulls this trick, but I spent several days switching my TV’s optical audio output between a YAS-207 demo unit and my personal Vizio 5.1 channel sound bar system (which has actual satellite speakers), and it really does work as advertised. 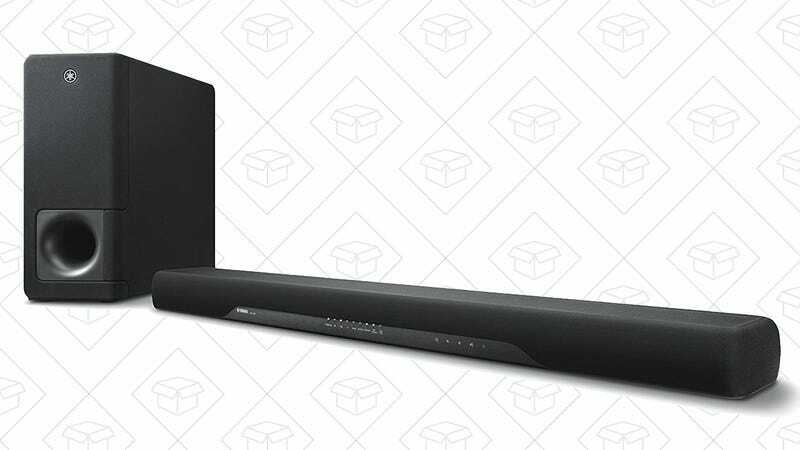 Perhaps unsurprisingly, the Vizio produced a more realistic surround effect, because it’s actually a surround sound system, but the Yamaha came shockingly close without any extra hardware. The bar itself also boasted clearer vocals (especially with its Clear Voice mode enabled), and its significantly larger wireless subwoofer blew away the Vizio’s low end. If your room is set up in such a way that you can hide the speaker wires coming out the subwoofer, I’d still probably recommend a 5.1 Vizio system to most buyers, but the YAS-207 (or, presumably, future sound bars with DTS Virtual:X) is a fantastic option for anyone who doesn’t want to deal with the extra hardware.